In recent news, the widely discussed Law Amending the Press and Publications Law for the year 2012 (“Amendments”) to Jordan’s Press & Publications Law No. 8 of 1998 (“Press and Publications Law”) has been ratified. The Amendments primarily deal with the regulation of websites accessible in Jordan. While many view the Amendments as a limitation on the freedom of the Jordanian press, others are of the view that the Amendments are needed to regulate websites, hold the responsible parties accountable, and place an obligation on the persons interested in covering Jordan’s internal and external news to register and get licensed like the print press. Most notably, the Amendments extend the definition of press material to capture what is colloquially known as “user generated content”. Further, they require Electronic Publications (i.e. websites having a specific address on the web that provide publishing services, including news, reports, press investigations, articles and comments) to obtain a license before issuing or distributing press publications relevant to the domestic or external affairs of Jordan. Jordan’s Amendments to the Press and Publications Law mean that owners of Electronic Publications, irrespective of where their offices are located, must take care when allowing their websites to be viewed in Jordan. While the Amendments only contain four changes to the Press and Publications Law, under the new legislative regime Electronic Publications that contain news, press reports, press releases and comments have an additional obligation to register, obtain a license and actively monitor the content of the publication in order to ensure that they are in compliance with the laws in Jordan. 1. Obligations on Electronic Publications. Article 49 of the Press and Publications Law previously stated that Electronic Publications could benefit from the privileges granted by the Press and Publications Law, if they chose to license and register in accordance with the provisions of this law. In a significant departure from the Press and Publications Law, the Amendments now require that all Electronic Publications that publish news, press reports, press releases, and comments relevant to the domestic or external affairs of Jordan must be registered and licensed with the Department of Press and Publications “by virtue of the Director’s decision” (the Director being the General Director of the Department of Press and Publications). This means that the Director has the authority to assess whether a particular Electronic Publication requires registration and licensing. Once notified by the Director that the Electronic Publication must be registered and licensed, the owner of the Electronic Publication must do so within ninety days. The registration and license requirements apply to all Electronic Publications irrespective of their location of operation. 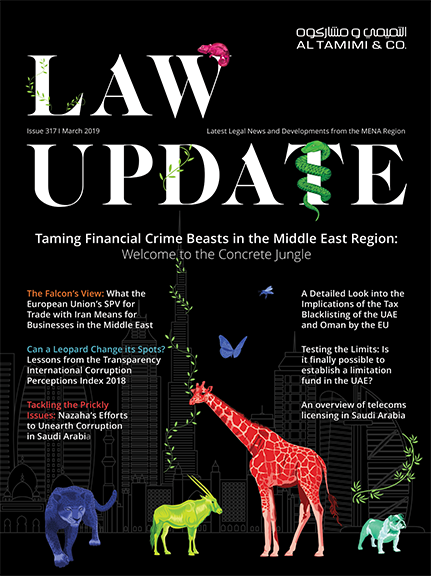 Electronic Publications owned by individuals that reside outside of Jordan, or that have administrative offices outside of Jordan, are also subject to the provisions of these Amendments. However, if the owner of the Electronic Publication is unknown or is located outside of Jordan, the Director will issue a notice in two local newspapers to inform the owner of the Publication of the requirement to register and license the website. User generated content, such as comments left by readers on websites, will now be considered as press material. This means that Electronic Publications are responsible for content they place on the website and for content users place on their websites. Further, the Electronic Publication, its owner, editor-in-chief, manager and any employees can be held responsible if the content, including user generated content, published on the website is in violation of this law. Writers of user generated content that violate the law can also be subject to liability in their individual capacity. The Amendments place an affirmative duty on Electronic Publications to monitor content to ensure that it does not contain false information or information unrelated to the subject of the news. Electronic Publications are required to keep a register of the “material subject” of all comments received on press material along with information about the sender of the comments for at least six months from the date on which the comment is posted on the website. If an Electronic Publication is found to be in violation of the Press and Publications Law or its Amendments, the Director has the authority to block the pertinent website and close its administrative offices located in Jordan (if any). The Director also has the authority to block unlicensed websites that violate the Press and Publications Law, its Amendments or “any other law”. 2. Publication of contempt, slander, defamation and content affecting personal freedom is prohibited. Article 38 of the Press and Publications Law prohibited, amongst other things, the publication of anything that abuses a recognized religion, content that offends or insults Prophets, content that insults religious beliefs, or content that offends individual dignity and personal freedom. The Amendments to the Press and Publications Law delete the reference to “offending the dignity of individuals and their personal freedom” and expand the notion by prohibiting the publication of “anything that includes contempt, slander, or defamation of individuals or affects their personal freedom”. 3. Penalties include fine and shutting down of the institution issuing offending publication. Under Article 48 of the Press and Publications Law, press publications including daily publications, non-daily publications, electronic publications, specialized publications and news broadcasting publications (collectively “Periodical Publications”) that were issued without a license were subject to a fine not less than five thousand dinars and not more than ten thousand dinars. The Amendments now impose a lower fine on Periodical Publications that are issued without a license, i.e. the Periodical Publication that violate the Press and Publications Law will be fined an amount not less than one thousand dinars and not more than five thousand dinars. However, more significantly, the Amendments allow the Director of Press and Publications to shut down shops and institutions that issue Periodical Publications in violation of the Press and Publications Law. Such Periodical Publications can be confiscated and subsequently prohibited from further issuance. 4. Tribunals have jurisdiction over Press and Publications Law cases. (iii) against the domestic and external security of Jordan (whether through print or audio-visual media). The nominated judge in the Court of First Instance had jurisdiction to hear publication cases. Further, the Judge of Press and Publications Cases at the Court of First Instance of Amman had jurisdiction to hear publication cases that were committed within the Amman Municipality or within the exclusive jurisdiction of the Amman Court of First Instance. The Amendments now require that publication cases which are considered as expedited law suits be resolved within for months from the date of registration at the Court of Registry. Further, the Amendments expand the definition of publication cases by adding to the category civil cases related to damages resulting from an act committed by a Publication or audio-visual media. The jurisdiction to hear publication cases under the Amendments is now vested in a tribunal which is formed at each Court of First Instance. Further, the tribunal of Press and Publications cases at the Amman Court of First Instance now has the jurisdiction to hear publication cases that fall within the Amman Municipality or within the exclusive jurisdiction of the Amman Court of First Instance. Al-Tamimi & Company’s Technology, Media & Telecommunications team regularly deals with media regulatory issues in the region. For further information please contact David Yates at d.yates@tamimi.com, or Anita Siassios at a.siassios@tamimi.com. For queries specifically relating to Jordan, please contact Khaled Saqqaf atk.saqqaf@tamimi.com.